Zipscreen Awnings are a roller type awning system with vertically welded and patented zips on each side of the awning fabric. Built for the outdoor, they withstand the heat, cold, and wind without any worries. They offer privacy and protection from the sun and are perfect for an outdoor feel, with protection from the Melbourne elements. The zips run in special side channels that securely hold the fabric in place as you pull the awnings open and closed. Easy to use, they are ideal for enclosing your outdoor areas and are stylish enough to suit both modern and classic architecture. All of our custom Zipscreen Awnings in Melbourne are locally made, and are available in a large array of fabrics and colours. 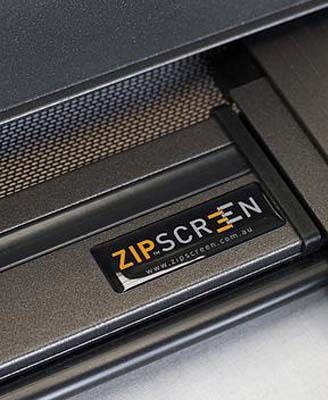 Our Zipscreens come with a stylish headbox and side channels that can be powder coated to suit specific colour palettes. They can be manufactured to a width of up to 5 meters, and are available in 3 control options including spring, crank and motorized. Our Zipscreen Awnings were designed and built with Australia's harsh climate in mind. Made with only premium components and fabrics, we give a 5 year warranty as testament to our product. Our range is made right here in Melbourne to the strictest of Australian Standards. You will also be pleased to know that you are supporting the local and Australian economy. Zipscreen Awnings are made using the latest technology in blind manufacturing. All fabrics are cut with lasers and joints are welded to produce the most superior awning on the market.  Our Zipscreen Awning hardware is predominately aluminium construction with stainless steel fittings, making them highly corrosion resistant, and ideal for coastal areas. What makes our Zipscreens truly unique is their special zipped side hems. These zips keep the fabric not only securely fastened within the side channels but also keeps the fabric nice and taught.